Do your patients need aged care services? Providing the best possible care for older people is central to the Baptcare ethos. 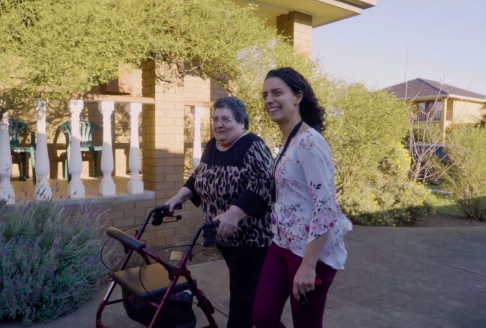 We offer a full range of aged care services, including home care, residential aged care and respite care (which can involve in-home respite or a stay at one of our residential communities). 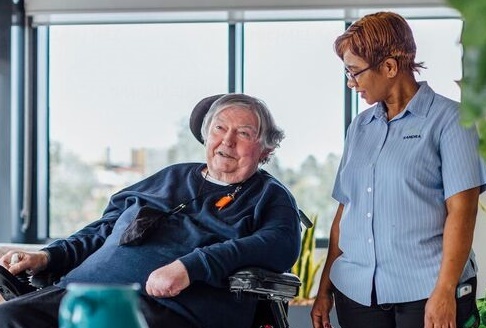 Our home care services can assist your patients to stay in their own home, maintain their independence and remain connected to the community they know. These services are flexible and are tailored to each person’s circumstances. 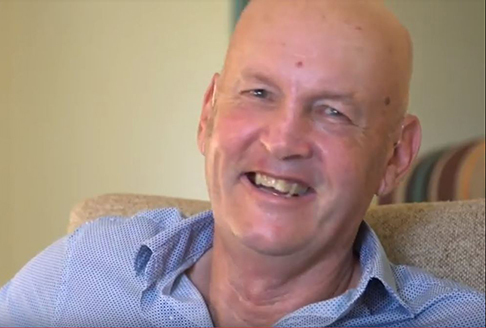 We take a patient-centred approach to our services, based on an integrated model of aged care that extends from support at home through to residential aged care. This means that when you link your older patients to our home care services, you can be confident that we will assist them to live independently while supporting their transition to residential care should it become necessary. If your patients require respite care, we offer several options depending on their needs. These include in-home respite, day centre care, and respite stays at our residential aged care communities. What aged care services does Baptcare provide? 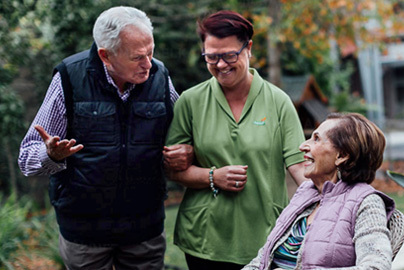 Our aged care services include home care, residential aged care and respite care. Our respite care options include in-home respite or a stay at one of our residential communities. We provide a wide range of home care services to assist your patients to stay in their own home, maintain their independence and remain connected to their community. Your patients can access these services via government-funded Home Care Packages through My Aged Care, or privately as self-funded services. We also have 11 residential aged care communities in Victoria and Tasmania - so if your patients require 24-hour residential care, they will usually have the option of staying close to their local community or loved ones. Our respite care options include in-home respite, day centre care, and respite stays at our residential aged care communities. These services can be ideal for your patients who are recovering from an illness – or those who could do with some extra support to give their caregivers a break. What makes Baptcare different from other aged careproviders? 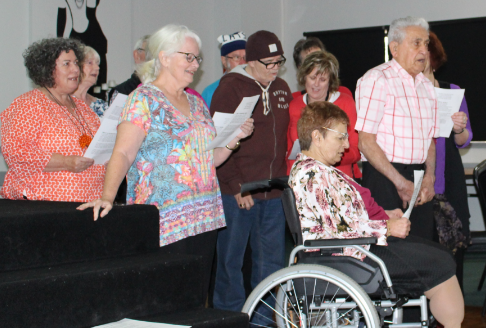 Baptcare is a faith-based, not-for profit organisation that has provided care and support to older people in Victoria and Tasmania for more than 70 years. We are a government-approved provider that meets the Home Care Standards and Residential Aged Care standards set out by the Australian Aged Care Quality Agency (AACQA). We have been frequently recognised by the AACQA Better Practice Awards Program for the outstanding care we provide. Our home care service is notable for its clinical focus. Unlike some providers, we offer health-oriented case management as part of the service - we have qualified and experienced healthcare professionals who can visit your patients at home to assess their clinical needs and support them to optimise their independence. We have been case-managing Home Care Packages for 20 years, so we understand the level of involvement required to manage your patients’ care efficiently. Our residential services are also clinically led. Our aged care communities are managed by senior Registered Nurses with years of aged care experience, and there are nurses on-site or on-call 24 hours a day, 7 days a week. All our communities have had their services and care nationally recognised for excellence. More broadly, we pride ourselves on making a difference to people in need. Our vision is for communities where every person is cherished - as a not-for-profit provider, we reinvest our funds into community projects. Does Baptcare provide case management? Yes, we offer health-oriented case management as part of our home care service. Our case managers (or clinical care consultants) are qualified, experienced healthcare or community care professionals. 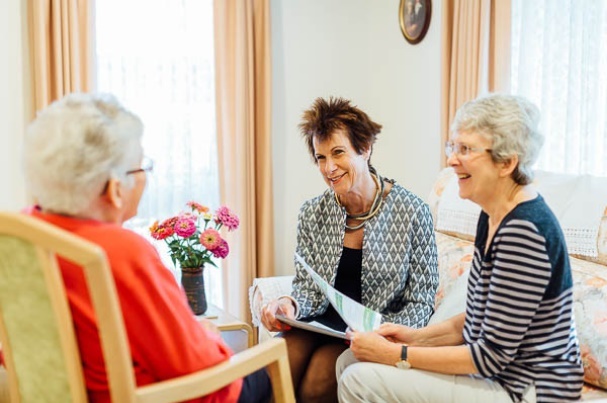 Our case managers conduct a full assessment plan, tailoring services to suit each patient’s individual needs and preferences, and work with the patient to help them achieve their goals and stay longer in their own home. Our case managers are adept at monitoring any clinical changes in their patients’ health and bringing in the right services to improve their multidisciplinary management. Accordingly, you can be confident that your patients will always have someone overseeing their care who has a ‘big picture’ view of their situation. This is particularly important during transitions from hospital to home care – at these times, a case manager can help ensure a safe, coordinated transition and reduce the likelihood of readmission. The Essentials Plus option provides comprehensive case management, including regular home visits, monitoring and advocacy. This helps to take the burden off families, particularly when there is a crisis. It also offers the benefit of expert capability in determining appropriateness of care, which provides peace of mind to you and your patient. Through regular visits, the case manager (a healthcare practitioner) has the ability to notice and act on the physical and cognitive changes associated with the ageing process – changes that loved ones are not trained to see or act on. The case manager also provides one-on-one support to navigate the aged care system and maximise the patient’s Home Care Package. The Essentials option involves a basic level of support to set up and maintain the patient’s Home Care Package. This option promotes patients’ self-management, and is therefore especially appropriate for patients with low care needs. We usually recommend that people start with the Essentials Plus option, given the complexity of the aged care system and the confusing range of services available. By encouraging your patients to take up this option, you can help ensure that their changing care and support needs are identified and managed appropriately. What qualifications and training do the staff have? All our personal care workers have a qualification of Certificate IV in Aged Care, as well as first aid training. So you can be confident that your patients will receive care from a qualified and experienced worker. Our clinical healthcare practitioners include enrolled and registered nurses, physiotherapists, podiatrists, occupational therapists and diversional therapists. Our residential aged care communities are managed by senior Registered Nurses. Baptcare employs experienced Registered Nurses as Unit Managers, with each Unit Manager overseeing a specific group of residents. This means your patients will have a senior nurse who knows them well and provides continuity of care. 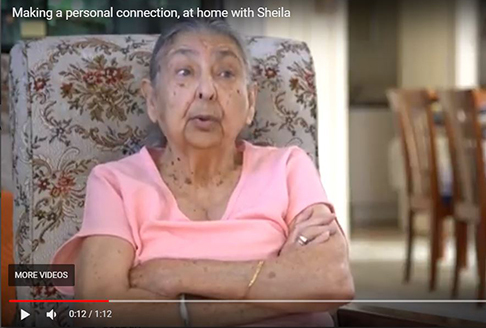 We can help your patients to access home care services privately or assist them to navigate the My Aged Care portal for government-funded packages and respite. We can also support their transition to residential care should it become necessary. To refer a patient to us, call 13 BAPTCARE (13 22 78) or fill in our contact form. As a Baptcare Customer Liaison Consultant, Marie is your first port of call if you want to know more about the aged care services we can offer your patients. 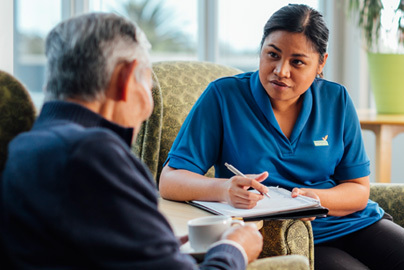 A Customer Liaison Consultant can visit your practice to explain what Baptcare does and provide you with a welcome pack of our aged care resources. A major part of Marie’s job is visiting people at home to talk to them about the home care services that will best meet their needs. “Typically, I go out to see someone after they have contacted our Customer Enquiry Consultants or been referred by their GP. I have a very open conversation with them to see how Baptcare’s home care services can help them live well in their own home,” Marie says.